Last week I shared a quick and easy Paleo Chicken Noodle Soup. Well today I have an easy, Chicken Kale Soup recipe for you. It was our first time trying kale and the entire family loved this yummy gluten free, dairy free, grain free soup. The flavors are absolutely amazing! 1. Heat the oil in a large pot over medium-high heat until simmering. Add the onion and carrots and cook until they are soft. About 5 minutes. 2. Add chicken and cook for about 3 minutes. Add ginger, cumin, chili powder and soy sauce. Stir and cook for about 2 minutes. 3. Add chicken bone broth. Turn heat to high and bring soup to a boil. After it begins to boil, reduce heat to low. 4. Simmer soup on low for about 15 minutes. 5. Add chopped kale and cook for another 2-3 minutes or until kale is tender. 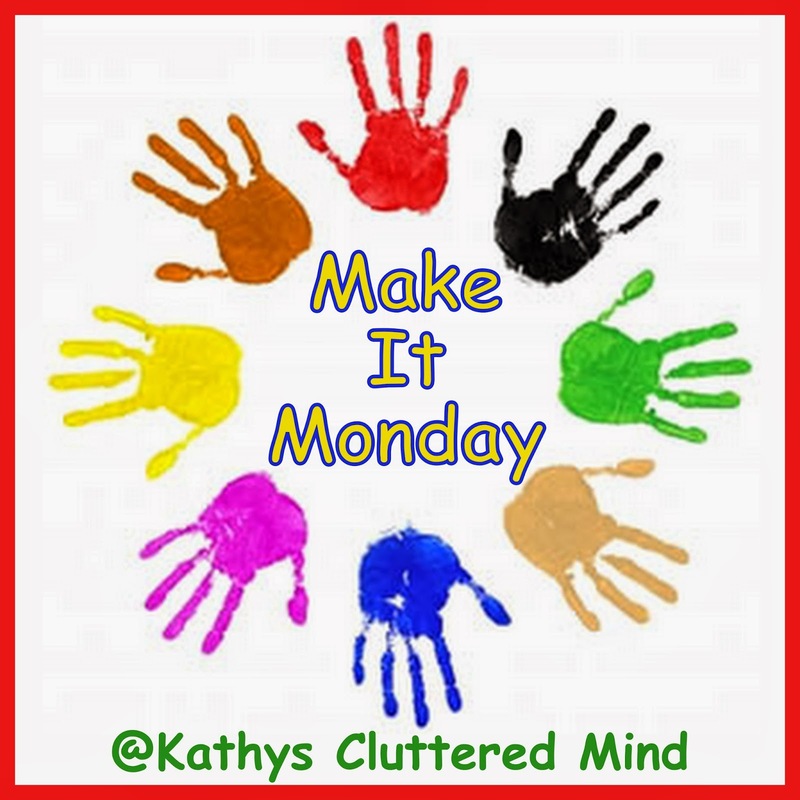 Link up: Make It Monday with Kathy's Cluttered Mind. Thanks so much for hsosing!! The Kale Soup looks delicious. My family loves soup! Shopping tomorrow - I will pick up all items needed to make this soup on Saturday. I am finding the greatest recipes this week! I am already ready to make two of them this week. I’m going to have to save this one for early next week. I love, love, love a good soup. I made another soup with kale that turned out wonderfully. I have never tried Kale that I know of. This soup sounds really good. The Paleo diet is such a healthy one! I dabble in it but nothing really serious! That soup looks awesome. I love kale! I have been looking for more recipes that use kale. This looks great! 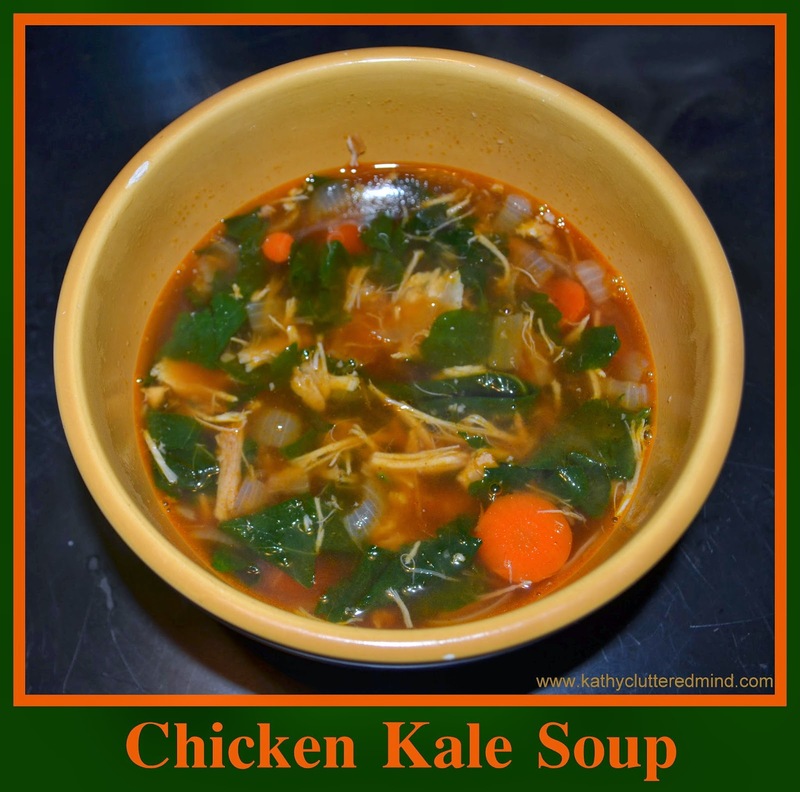 I really love chcken soups, but never have thought on using kale with it! Thanks for a great idea! I like chicken soups with greens in them but I have never tried one with kale. Looks great. we haven't actually ever tried kale (yet) i need to! This soup looks so delicious. I have recently tried Kale and I really enjoyed it. I will have to try this soup! Thanks for the party too! It sounds fantastic. I have never had Kale any other way than kale chips. with clients over the Facebook, as it provides chatting feature also.